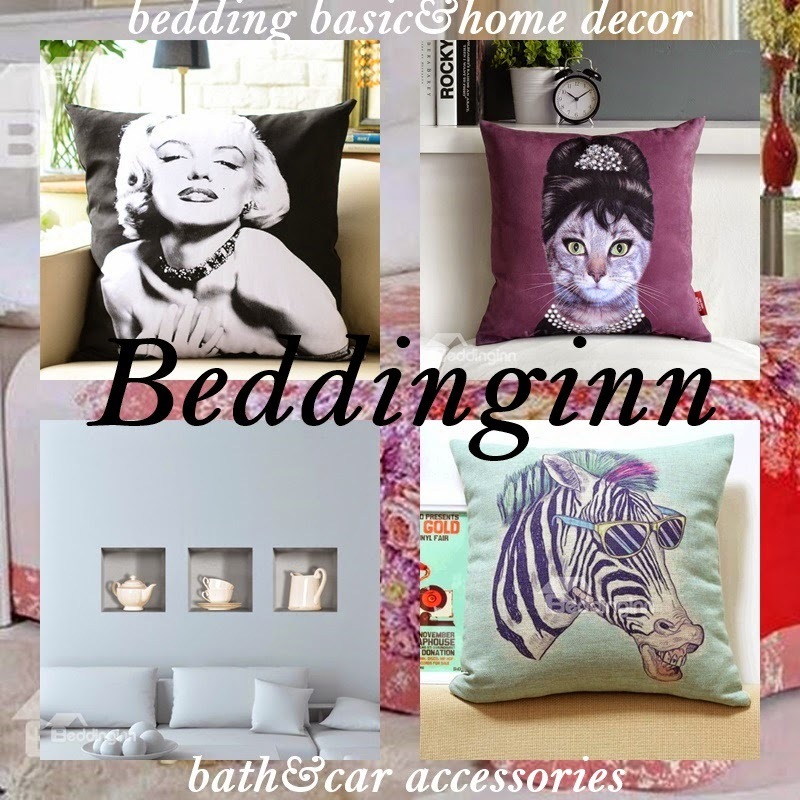 I wanted introduce you with company which sells bedding sets and home decors. They are Beddinginn . They offer a different kind of bedding sets, blankets, kitchen gadgets, wall stickers etc. If you re interested in, check them out. They also ships worldwide (over 230 countries)!! When I looked through their page I saw that they offer very fashionable and trendy pillow designs and those beautiful bedding sets...oh.. But I wanted to talk in more details about wall stickers. I looked at almost every page in this section. 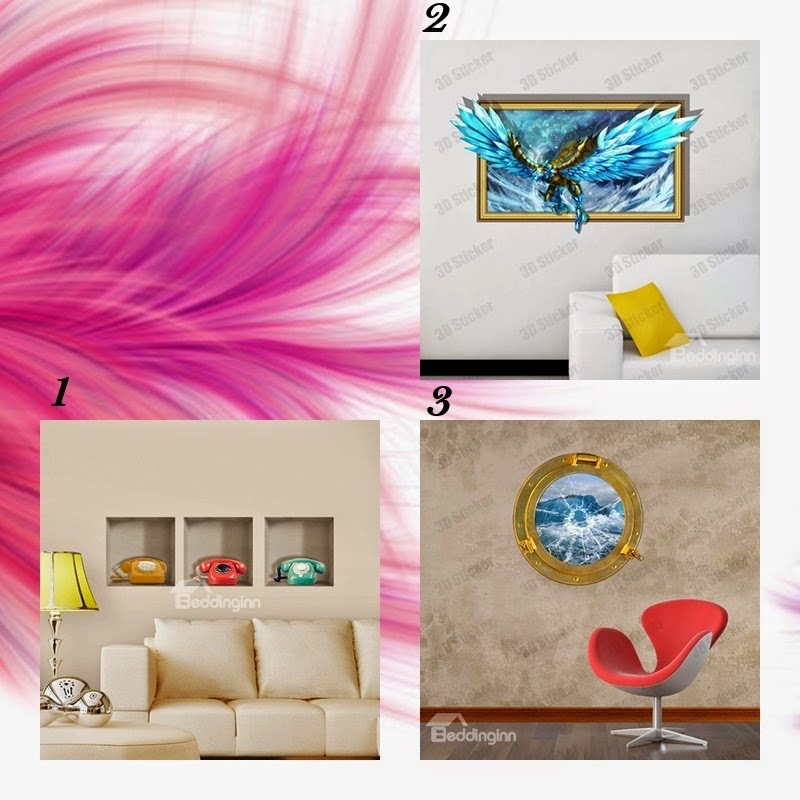 There are great 3d wall sticker deals ! 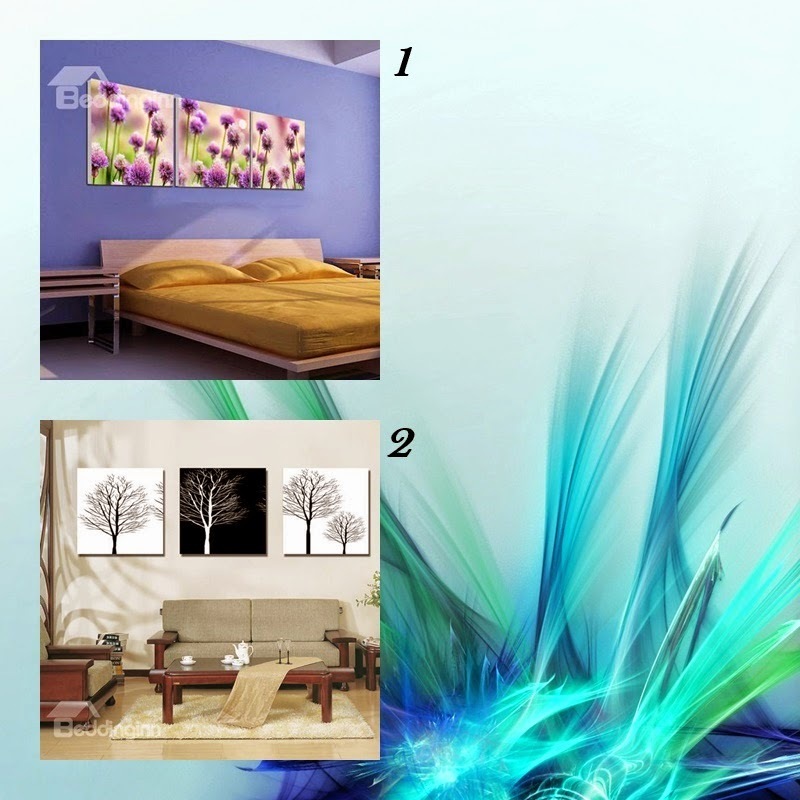 In collage below I picked 3 my favorite 3d stickers designs. I chose this beautiful canvas art because I'm the fan of purple shades. Also when I look at these pictures they give me peaceful feeling. I would hang them on my room's walls. They would add a nice touch to basic walls (I have basic walls in my room as well). I really like black&white combination in all things. No matter if it's outfit or canvas wall art. That's why I chose this design. I really like the trees so I would hang these in my living room. I have white walls and it would match perfectly. And lastly, I wanted to introduce you with 2014 Christmas Sales Wall Art Deals . 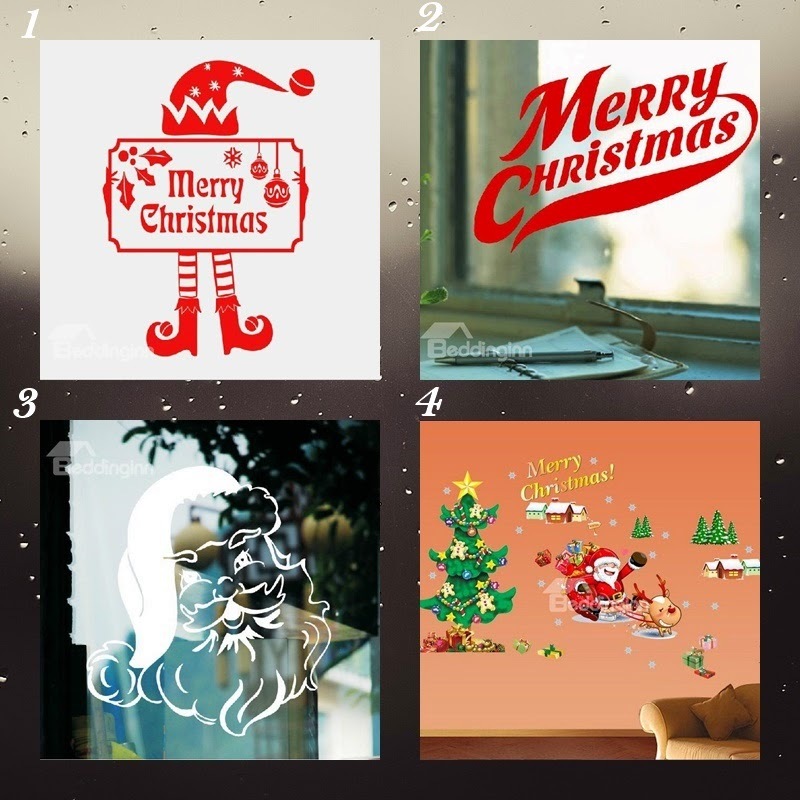 I picked up 4 Christmas wall arts. How cute are they? :) I love the 3rd one. I would definitely stick it on my window. You can get them less than 18 dollars (for each). They are qualitative made so I think this is good price. Which one of all collages are your favorite thing? Man skaisti dekorativie spilveni ir vajiba. Mans ligavainis smejas ka pamazam divas un gulta apaug ar tiem. Bet viens tads skaistums izmaina visu istabas izskatu. Gultasvela man patik vislabak balta. That is awesome! Love your blog, would you like to follow each other? Let me know! Ļoti daudz skaistu lietiņu! :) Man vislabāk patīk tās melnbaltās gleznas ar kokiem- izskatās tik forši un stilīgi!